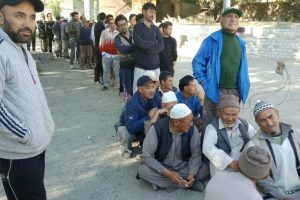 The comments garnered the ire of some of the leaders of the minority Muslim community with AIMIM President Asaduddin Owaisi terming the judgment as 'unacceptable'. 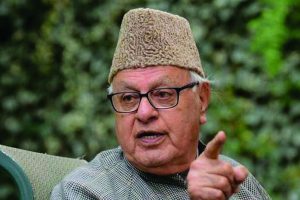 Farooq said that our hopes for a more just, safe and peaceful world can only be achieved when there is universal respect for the inherent dignity and equal rights of all members of the human race. 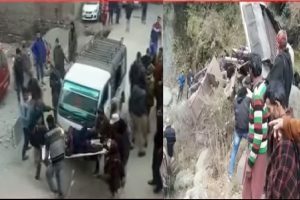 The number of casualties is expected to rise as police officials reportedly said that some of the injured were in a critical condition. 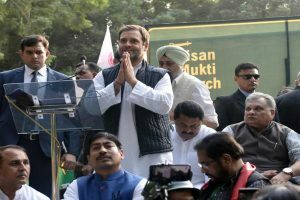 Abdullah said that Prime Minister Narendra Modi should maintain the sanctity of the office he was occupying and rein in those who were trying to break the country on the basis of religion. 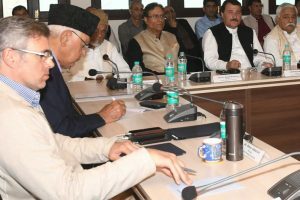 National Conference chief Farooq Abdullah, while welcoming the Kartarpur corridor, demanded replicating of Kartarpur type initiatives in Jammu and Kashmir where people were suffering for the past 70 years due to animosity between the two countries. 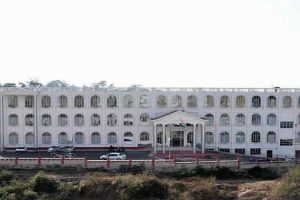 The Friday's rally is the fourth major farmers' rally being held by the AIKSCC, which represents over 200 farm outfits. 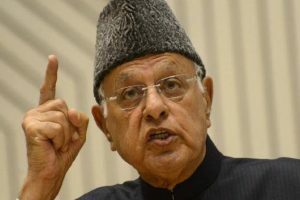 National Conference president Farooq Abdullah advocated an Ireland type settlement model to resolve the procrastinated J-K issue and has impressed on the governments of India and Pakistan to start a sustained dialogue process. 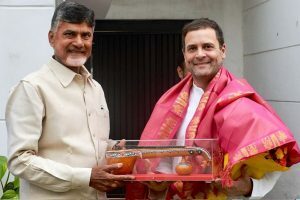 With the calls for a united anti-BJP front gathering steam, this development could well be the stepping stone for a Pan-India alliance to take on the BJP-led NDA. 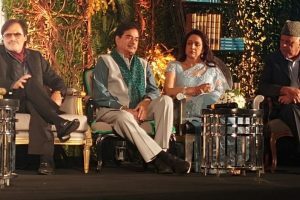 The grand launch of legendary actor-producer Sanjay Khan's autobiography ‘The Best Mistakes Of My Life' was a star-studded affair. 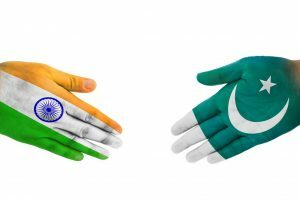 Strongly condemning the cowardly attack, Farooq Abdullah and Omar Abdullah expressed their solidarity with the families of slain SPOs. 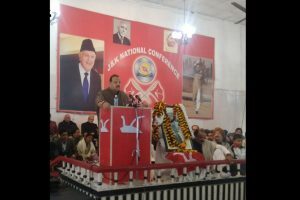 The former Chief Minister of Jammu and Kashmir said his party was not running away from polls but wanted the Centre to take effective steps for the protection of the state's special position. 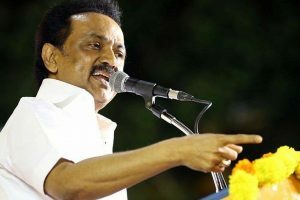 The party's core group felt that any tinkering with Article 35-A would prove disastrous not only for Jammu-Kashmir but for the entire country. 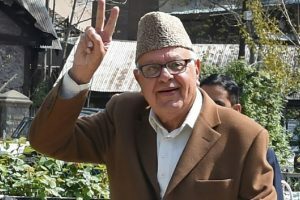 Continue reading "Jolt for PDP, BJP in Ladakh council poll"
In the meeting Farooq Abdullah, leader of the National Conference and former chief minister of Jammu & Kashmir, urged Stalin to unite and lead the secular forces in the country against the BJP.